Top of the Hill Neighborhood | U Speak Belleville? Top of the Hill Neighborhood is a neighborhood of West Belleville that stretches from Hwy 157 North to North and South 95th Street. It covers both sides bordering West Main Street, all of Baltimore, Farthing Lane, Olympia Drive, Wondell Woods, all of North 95th Street, North 96th Street, 98th Street and the beautiful Granvue Neighborhood. Top of the Hill residents enjoy beautiful natural areas such as the Greenspace Bluff Park Preserve, and the well-maintained Mount Carmel Cemetery. The neighborhood is close to running and cycling trails and is full of interesting and eclectic architecture. The Top of the Hill Neighborhood Association represents a stable neighborhood that boasts itself as a great place to find affordable housing only 15 minutes from Downtown St. Louis, and seeks to promote and sustain the quality of life the neighborhood desires, and fostering an exchange of information to empower the residents. 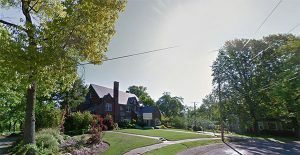 TOTH Neighborhood Organization’s plans include, aiding in communication with Alderman, supporting the addition of Bike Trails, installing Neighborhood Watch signs, getting additional Block Captains, communications with Landlords to maintain properties and adhere to Belleville rental regulations. Also review and recommend changes for outdated Zoning.